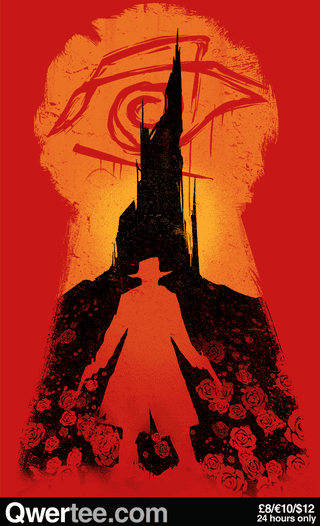 If you love Stephen King's Dark Tower novels, this tee is the best possible way to celebrate the lengthening days of autumn. In rich orange and blood red, it manages to be mystical and cool in a way that doesn't require anyone to recognize the Gunslinger to appreciate your sartorial choice. Only available for a few more hours at Qwertee!